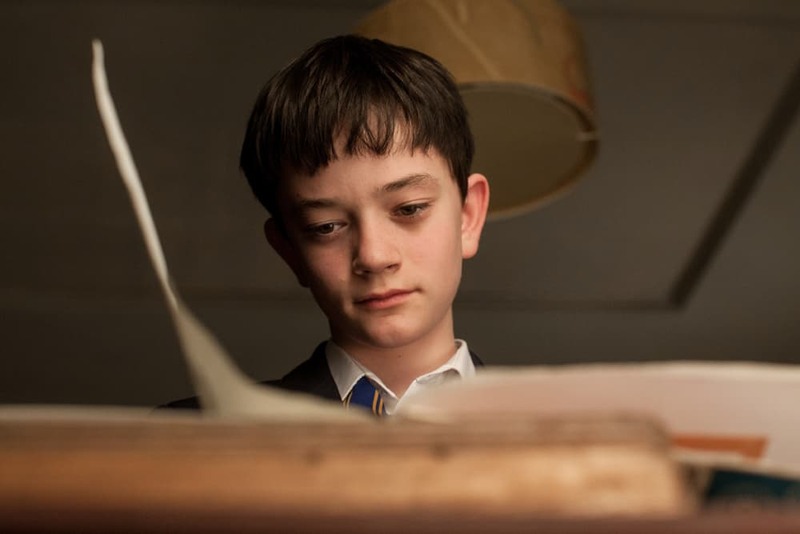 A Monster Calls Movie Review – Movie release dates in NY, LA, All Cities! You are here: Home / Movies / A Monster Calls Movie Review – Movie is open in NY and LA and Opens January 6th in all cities! A Monster Calls Movie Review – Movie is open in NY and LA and Opens January 6th in all cities! A Monster Calls opens today in NY and LA! It opens in all cities on January 6th. I am so happy that I had the opportunity to screen the movie early while I was in LA for a press junket. Enjoy my “A Monster Calls” movie review and be sure to come back and tell me how much you loved it as well! Focus Features provided the travel and experience for me to review the film. All of my views and opinions are strictly my own. When you let stories loose, “who knows what havoc they may reach?” A Monster Calls definitely created some havoc with the real emotions that circled around me like a tornado. Although there were lots of dreams and nightmares in the movie along with Conor struggling between knowing the difference between his dreams and reality, the movie definitely felt real. The movie is written and created by the same person who wrote the book. It is is filled with so much pain and grief but it is really about healing. It proves to the audience that humans can be “complicated beasts”. Felicity Jones (left) stars Mum and Lewis MacDougall (right) stars as Conor in director J.A. Bayona’s visually spectacular and stunningly emotional drama A MONSTER CALLS, a Focus Features release. I think that this story would be perfect for young adolescence. I found that with my experience in working with kids, that they really don’t know how to deal with grief. This movie definitely allows for some really interesting conversations about holding on tight to those we love and dealing with loss and understanding that it is okay to be angry. Director J.A. 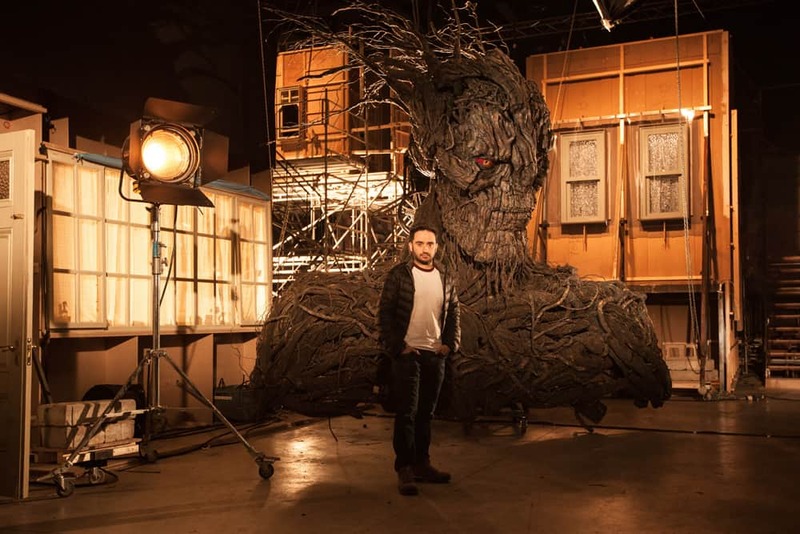 Bayona on the set of his visually spectacular and stunningly emotional drama A MONSTER CALLS, a Focus Features release. I love being able to watch a movie with my kids that also has a book so that I can turn it into a mini lesson plan! I am so grateful that the only person that my kids have lost that is close to them is our dog, Penny, a couple of years ago. This movie is a great film that if you choose to begin the conversation of losing someone you love it will help you with the in depth similes and metaphors that it provides! Be sure to come back soon and check out my interview with the star Felicity Jones! Listen to Liam Neeson read the first chapter of “A Monster Calls” below! 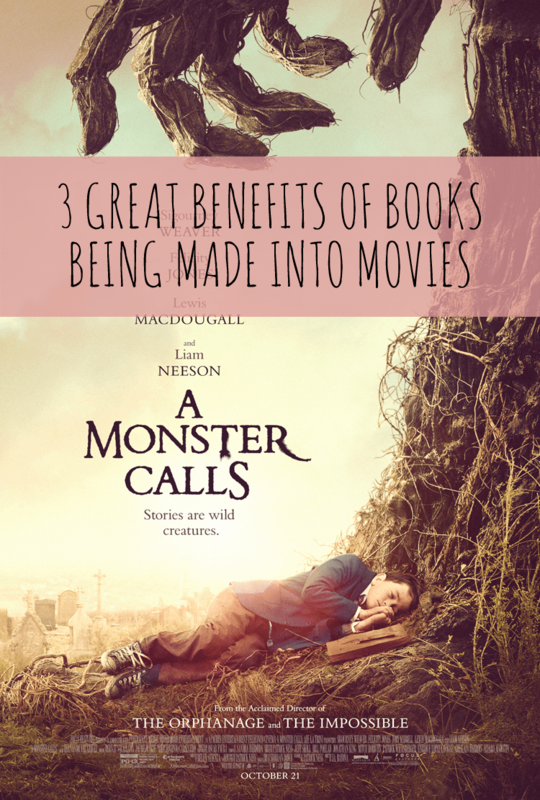 Also check out my 3 Great Benefits of a Book Being Turned Into A Movie! Also you can watch the trailer here. This looks like such an incredible and powerful movie. I am looking forward to seeing this. My kids can relate to this movie in that they lost their father at a young age. It definitely is hard for children to deal with grief and hard for parents to know how to comfort them. Am looking forward to seeing this! This looks great! I am seeing about this for the first time and am going to make sure I see this and then, I will have to share with my grandchildren who will also like this. Looks good, I think my daughter will enjoy this movie!